Looking to improve your visual content marketing in 2017? You’re in good company. Marketers worldwide are increasing and improving their visual content – because they’ve seen its power. These two infographics will paint the picture you need to know. Clearly, visuals grab the attention that you want for your brand! Read on after this infographic for the 10 Visual Content Marketing Statistics to Know for 2017. From 2015 to 2016, the use of visual content in articles published by marketers increased by 130%. Marketers use stock photos and original graphics as 65% of their visuals. 41.5% of marketers said that original graphics, such as infographics and illustrations, performed best. 71.1% of marketers claimed that they spent less than five hours a week making visuals. 32% of marketers used an online design tool to make visual content. 36.7% of marketers struggled with being able to produce visuals on a consistent basis. (I can certainly understand that, if they’re spending less than 5 hours per week!). Most marketers, 60.8%, stated that the use of visual content was absolutely necessary to their marketing strategy. 31.6% of marketers surveyed said that 0% to 10% of their budget was spent on visual content. Only 21.5% of marketers stated they planned to spend 0% to 10% of their budget in 2017. The marketers in the survey are planning to move more of their budget to visual content in 2017! They’ve seen the value. What about you? Do you have questions or struggles with visual content? I’m working on a couple projects that I hope will help, and I’d love to know your specific concerns. 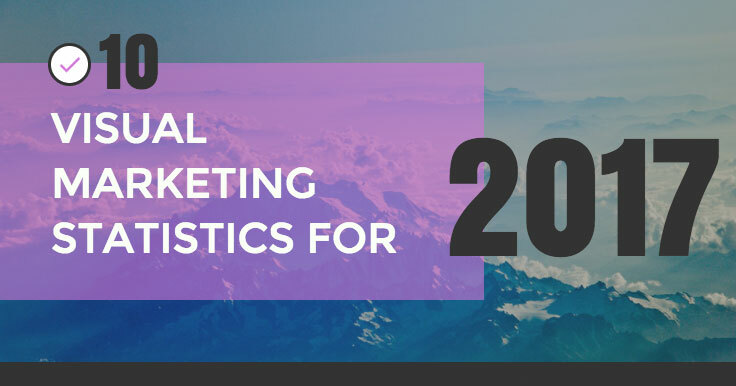 Leave me a comment, then pin an infographic of visual content marketing stats! Really amazing blog with very much helpful information, thank you so much.